Begin by creaming the shortening. 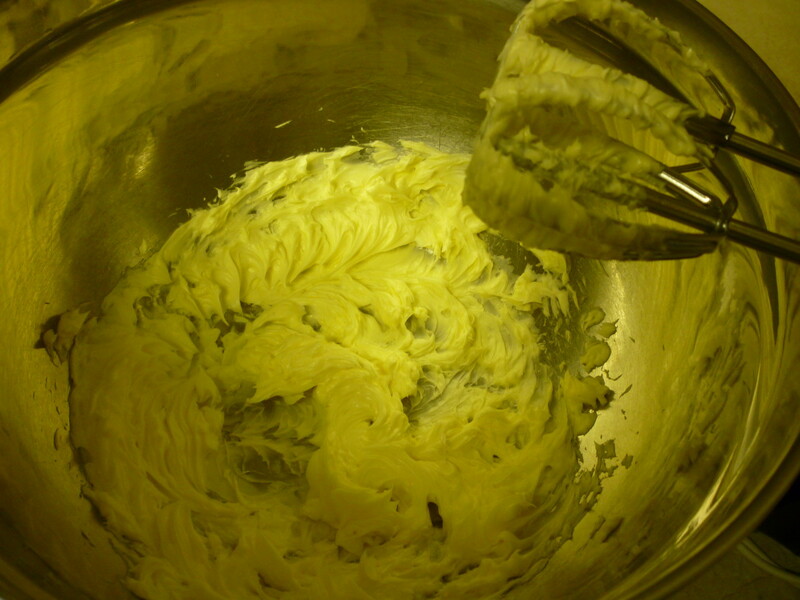 I have a handheld electric mixer that is an old one, but it still does the job! 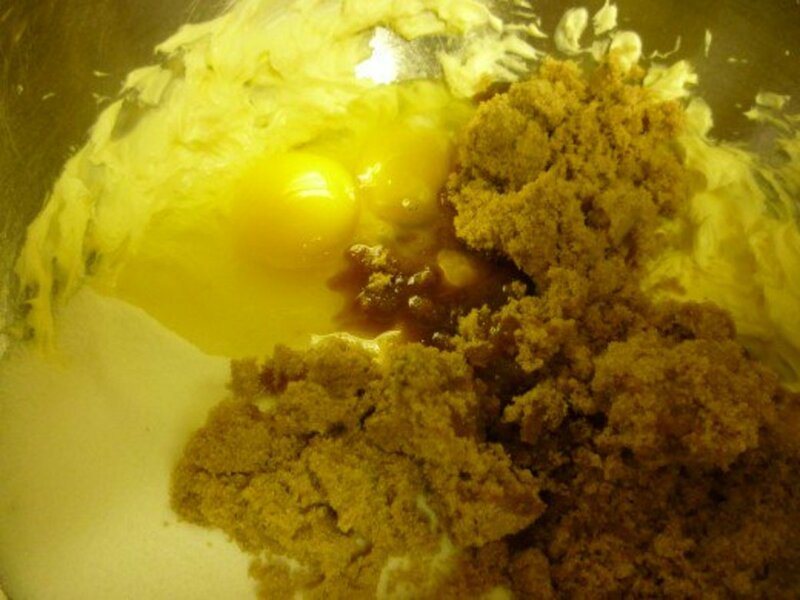 After creaming the shortening, add both sugars, the eggs, and vanilla and blend well. 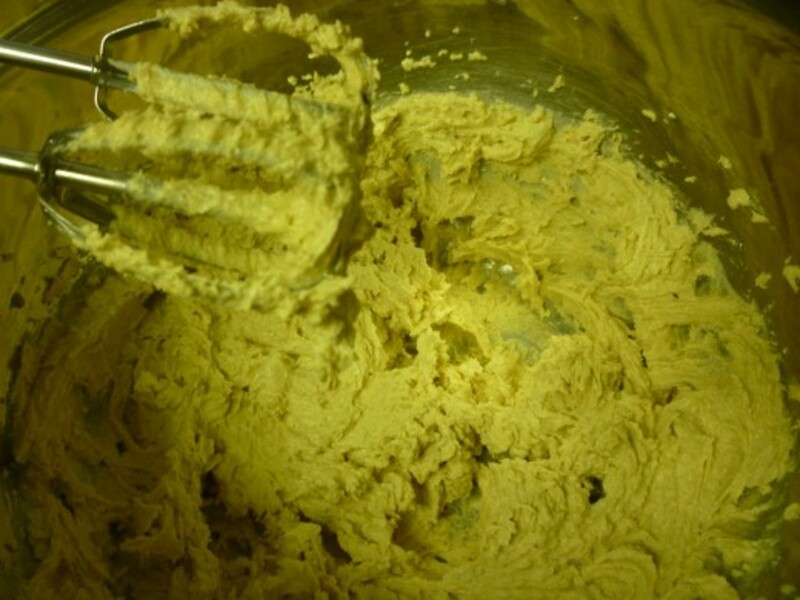 Make sure the cookie batter is well mixed before going on to the next step. Next, add the shredded coconut and blend. 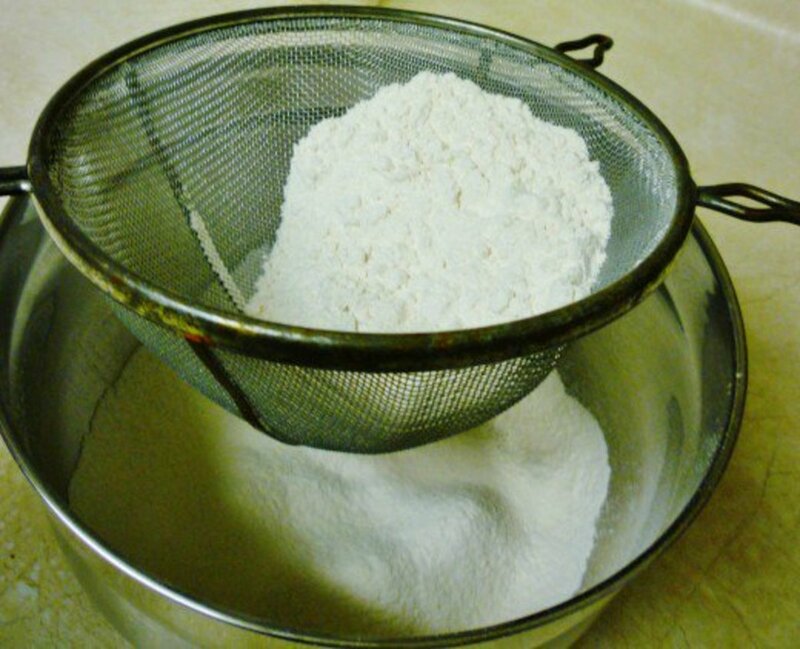 Sift the flour, salt and baking powder through a sieve into a separate bowl. 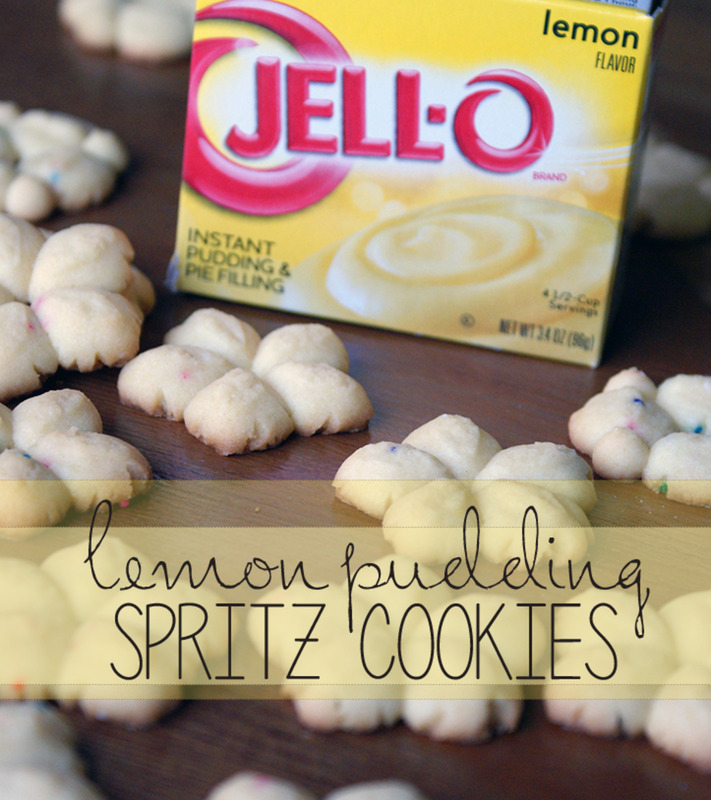 After sifting the dry ingredients, add them gradually to the cookie mixture and keep blending. 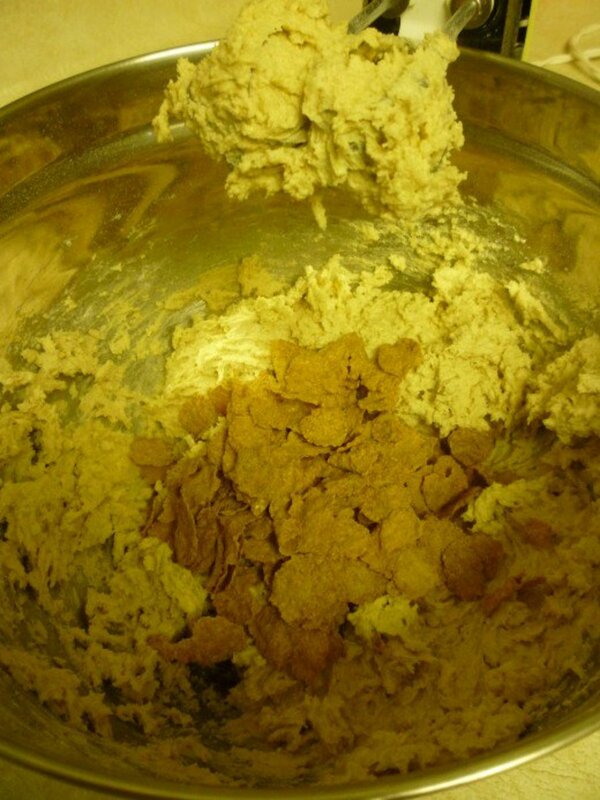 Finally, blend the Wheaties into the cookie mixture. After thoroughly blending, chill the dough in the refrigerator. It can be done for several hours or cover it and even leave it overnight to bake the next day. Bake at a temperature of 350 degrees Fahrenheit about 8 to 12 minutes or until browned. If using a convection oven, this timing can be reduced up to a couple of minutes. Cool on racks until completely cooled before putting away in containers. Ready to taste some Wheaties cookies? Here is the final product as they are cooling pictured below. This cookie recipe makes about five dozen crisp cookies, and they freeze well. For many years as I was growing up, I watched my mother make homemade cookies. When I was old enough, she would let me help stir the batter and best of all lick the spoons! Finally, she let me do more of the preparation work with her as I continued to age. Under her watchful eyes, this became a fun family project. In those days kids took lunch boxes to school. My two younger brothers and I could always count on a couple of homemade cookies along with our sandwich and piece of fruit or a little box of raisins. My dad also took a lunch pail to work in those days. My mother was an excellent cook and baker. Not only did we have the homemade cookies but she also baked bread for those sandwiches. She baked many loaves during the week to help feed our family of five. There is nothing so aromatic as loaves of yeast bread baking in the oven. Sometimes we would come home from school and get to eat some bread that was still warm from the oven. 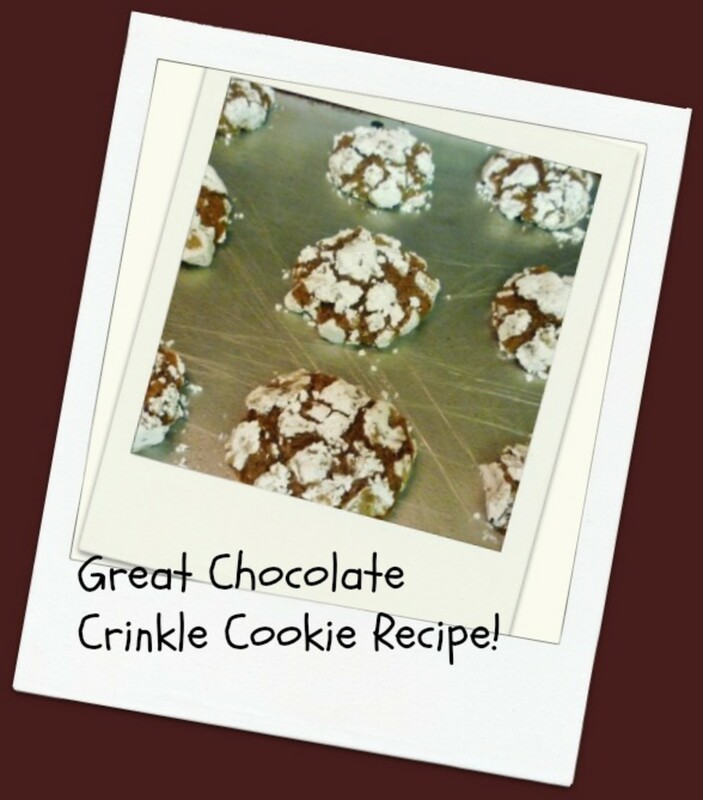 This post relates to some of her cookie baking, and this was one of our favorite cookie recipes. I am happy to be able to share it with you. Do you have favorite family recipes that you routinely bake year after year? Not yet but I think I will start the tradition. Here is some interesting information about the Wheaties boxes. Some people collect them and sell them on sites like eBay. 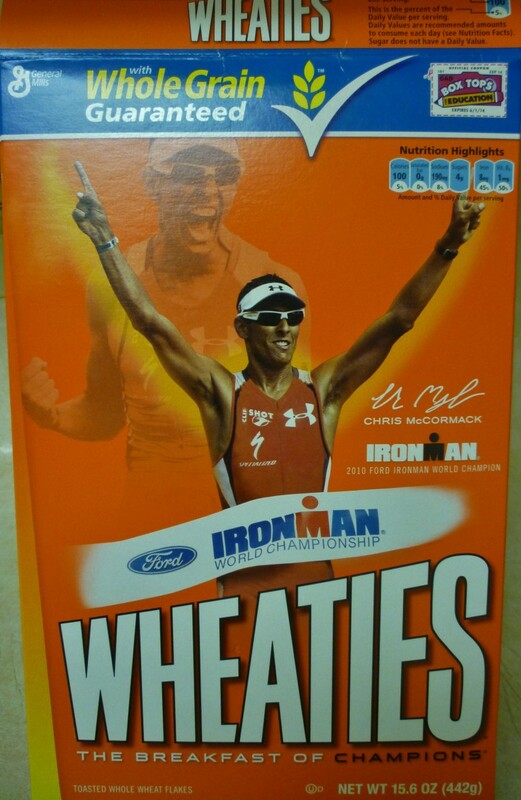 Numerous athletes, Olympians, and sports figures have appeared on these breakfast cereal boxes since 1934. This cereal is well known as the "Breakfast of Champions." Examples of some of the sports figures come from these fields of expertise. Our Wheaties box will go into our recycle bin. If you have the room and wish to make some money years from now, you might want to start collecting these eye-catching boxes and hope that this interest continues. Indeed, there will be no lack of subject matter nor star athletes who will continue to grace these cereal boxes. 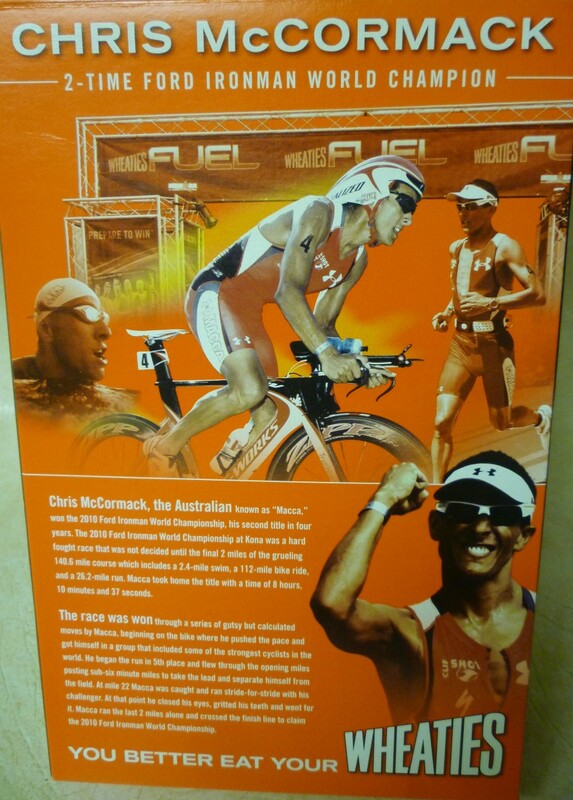 It must be such a thrill for each of the athletes to make it onto a Wheaties box! 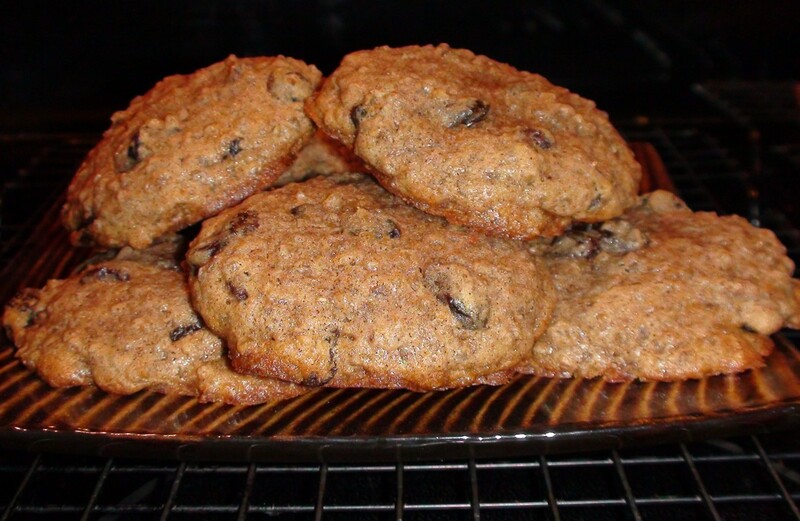 This Wheaties cookie recipe is an old one but definitely a keeper! Hope you enjoy it as much as we have through the years. Pinned these delicious nutrition cookies to my "Deserts" board. Ah yes...the breakfast of champions. 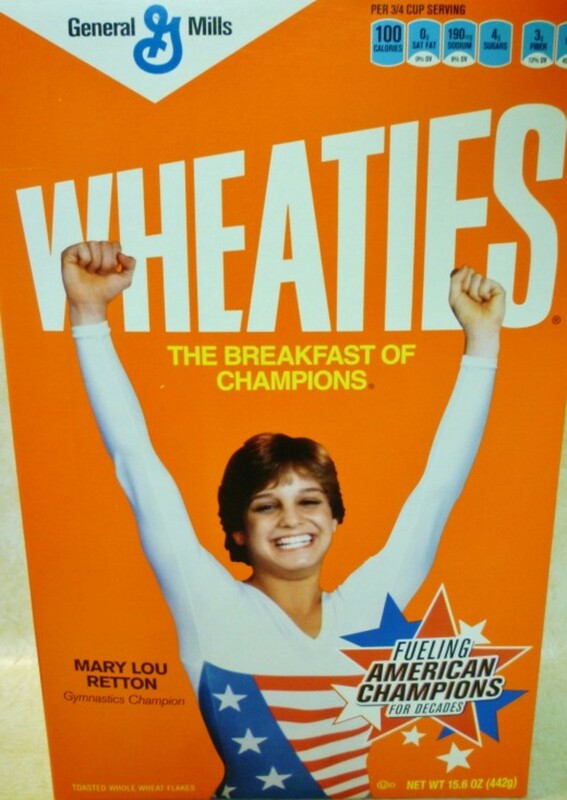 That is a great ad program that Wheaties has had for many years. Enjoy these cookies with my blessings. Your kids will be happy being able to eat these Wheaties cookies. Enjoy your teatime with them! Thanks for your comment and the vote up. This is the dessert of champions Peggy. Thank for for the clear instructions. These look wonderful! 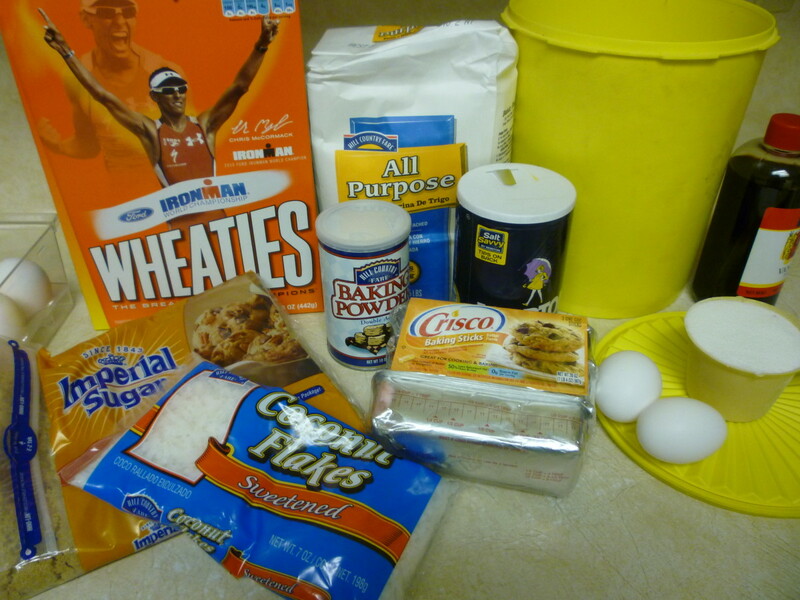 Glad that you already have the Wheaties on hand for this cookie recipe. Now if you have the shredded coconut and the rest...you will be ready to do some baking this weekend. BTW...these cookies freeze well just in case you don't have many hungry cookie monsters in your home. :)) Thanks for your comment. Somebody in my household would love this cookie recipe with my Wheaties atop my fridge. Thank you, Peggy W. Can't wait to try it and spread the heavenly aroma of cereal cookies baking this weekend. Bring out the cold Coke! Cheers! I'm so glad your on Pinterest now I can pin your recipes. Did I say this before? I will be pinning this recipe. I guess people collect just about everything if they have the room and desire. We simply recycle our Wheaties boxes. If you like a chewy cookie with coconut flavor, am sure you will like these. They freeze freeze well. Thanks for the votes and share. These cookies look good. Thought I had seen all of your recipe hubs. How did I miss this one? These look easy to make too. Yummy! It never occurred to me that people collected Wheaties boxes. Never thought of myself as sadistic, but seeing these homemade cookie photos without being able to smell or taste them...well...this is possibly so. Haha! They are tasty and make the house smell heavenly. You'll just have to bake them and take them to the office with you! Thanks for your comment. Oh Peggy W, you cruel, cruel Hubber!! I AM SO HUNGRY NOW! These cookies look delicious and I bet they smell even better! Glad that you liked this Wheaties cookie hub. My mother was a great cook and baker. Thanks for your comment. Peggy your mother certainly knew what's good. You picked a winner there. Thank you for sharing. I remember when my husband and I lived in Wisconsin Rapids, Wisconsin...a neighbor and I participated in a cookie exchange for several years. It was a great way to end up with an assortment of great cookies by each of us only baking one batch and then dividing the cookies between us. I'll be publishing even more homemade cookie recipes in the days ahead since I am doing the baking right now for gifts to be given away. Thanks for your comment and enjoy your cookie exchange. Thanks for a great recipe. I am heading over to your others next. I am particiapting in a cookie exchange for the first time this year, so I am primed and ready to bake. If you were a big Wheaties fan as a kid I'll bet that you will enjoy these homemade cookies using Wheaties as an ingredient. Let me know if you decide to bake them and give them a try. Thanks! I think that these Wheaties cookies get even better after a day or two. Bet that your son will like them. I just have the old fashioned kind of sifters passed on down from my family. You can probably tell from the photos. Ha! 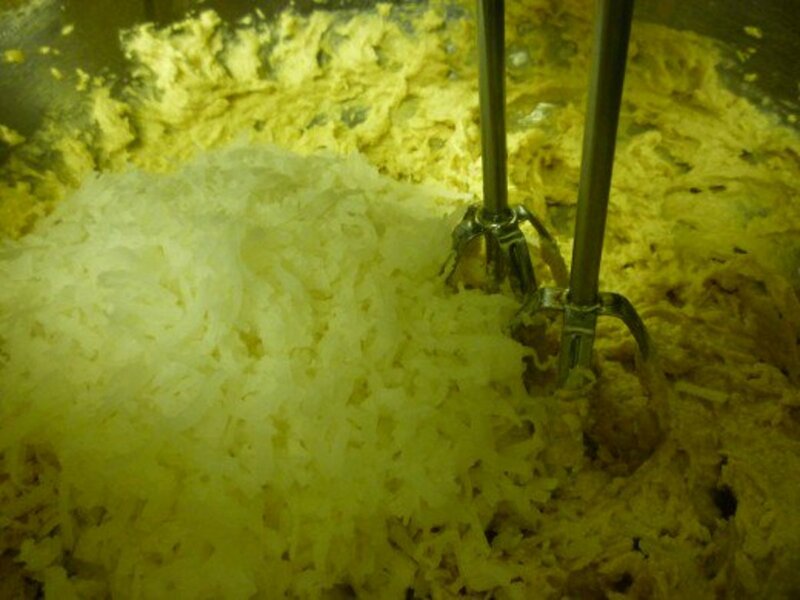 Your sifter sounds amazing! These look so good. 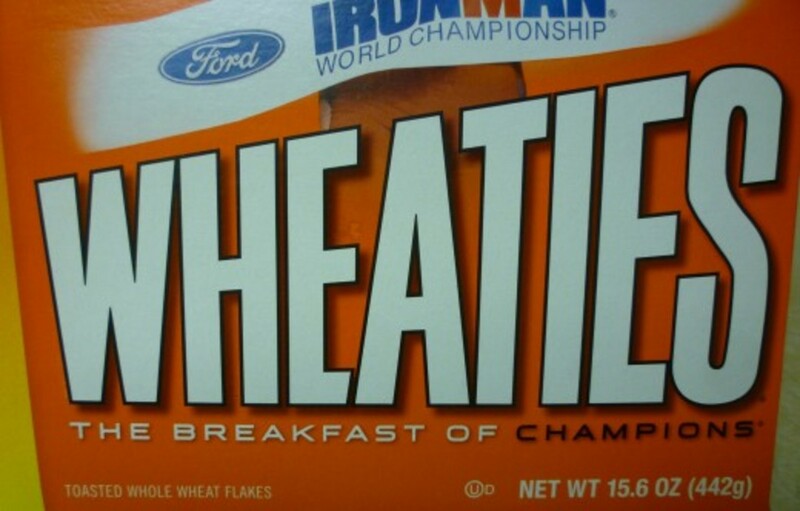 I was a big Wheaties fan when I was a kid. Great step-by-step photos! OK, ya got me...even though I don't care for coconut, I've got to try this one. The BEST thing I ever bought from Pampered Chef, which they unfortunately no longer offer, was a battery powered sifter than could do 4, yes 4, cups of flour in less than two minutes. I still have it and use it often!! Believe it or not, I eat very few cookies. My husband likes them on occasion and the reason I go into this homemade cookie making mode at this time of year is to give them away as gifts. Some years I do not even sample one from each batch. Other years...well...I do. Haha! These Wheatie cookies are one of my favorites. You can look for more family favorites in the days ahead if you wish to add some to your own cookie baking list. Thanks for the comment. I am bookmarking this one into my favourite recipes. The one thing that I haven't done much of in the past few years is baking,cakes,biscuits etc. I think that after years of baking for a large family it wwas a change not to do so!! Then I made the excuse that cakes etc were not good for us; but with our hot drink in the night we always eat a good few shop bought biscuits,so at least we know what goes into our home made goodies!! I will be adding many more to my recipes,so i think many of yours will come in very useful. A vote up here too. So I may very well give these a go. I have another recipe that calls for cornflakes but it is entirely different. Thanks for commenting on this homemade cookie hub with the Wheaties cookies. These look really good. Never heard of Wheatie cookies. 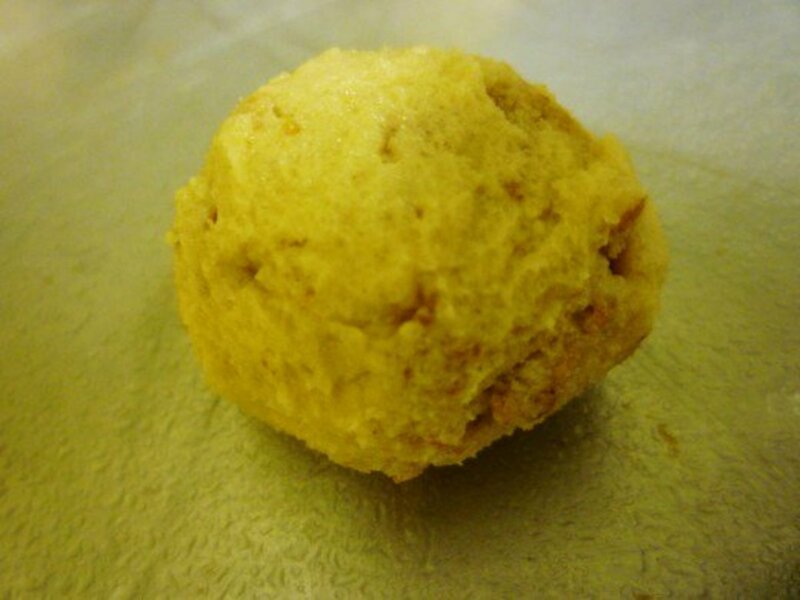 I use to make corn flake cookies. Love all kinds of Christmas cookies. One of my husband's favorite cereals is Wheaties so the leftovers (what is not used in this homemade cookie recipe) are no problem. I have another cookie recipe that calls for corn flakes. Will be sharing that recipe in the days ahead. Hope you like these when you give them a try. Thanks for your comment. You have quite a list there...painting, photography, book writing and baking. I have never tried book writing but have dabbled in the others. Hope you accomplish all of your dreams! Thanks for the comment on this homemade cookies hub. If you lived close by...would happily share a sandwich with you. We had some homemade chicken noodle soup for lunch yesterday. My soups are never quite the same...all depends on what is on hand when I make them in big batches, and then freeze in smaller containers. They generally turn out very good and yesterday's was delicious. Probably never to be repeated exactly. Ha! 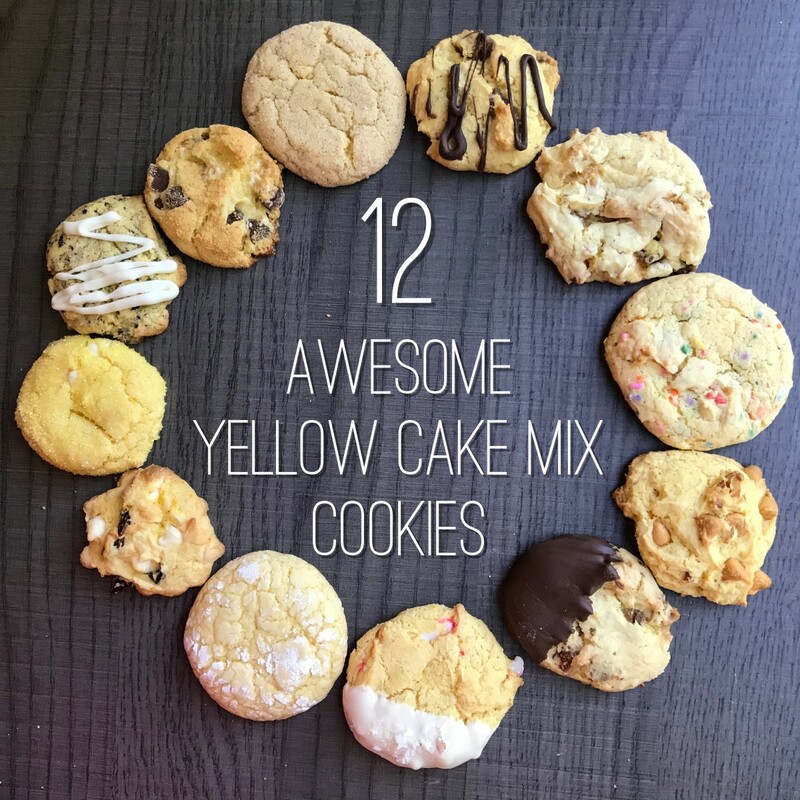 Wow...24 different kinds of cookies! 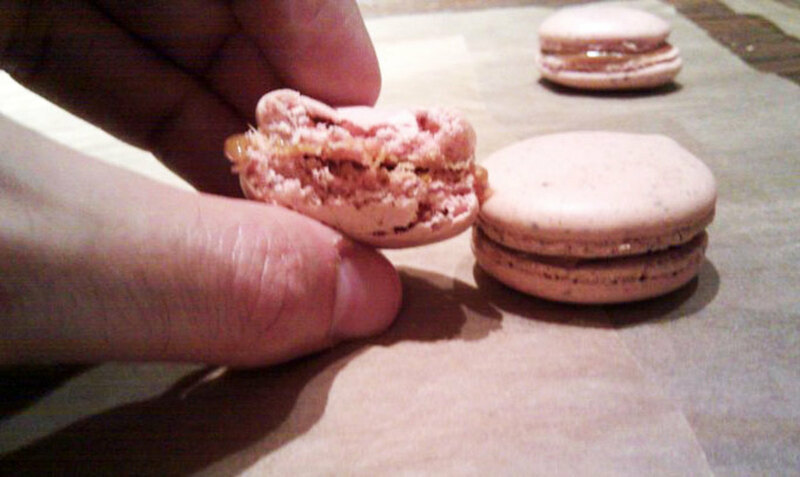 I think the most we ever made was perhaps up to about 15 but many of those favorites were double batches. At one point my husband had about 50 employees at the company and it took some marathon baking to take huge baskets of cookies in to satisfy all of them as well as our normal list of cookie gift recipients. I treasured the time spent together with my mother in the making of all of those cookies! Sometimes we would fit in a new kind and vote up or down as to whether to keep the recipe for the next year. Some recipes have been replaced with others that we liked better. 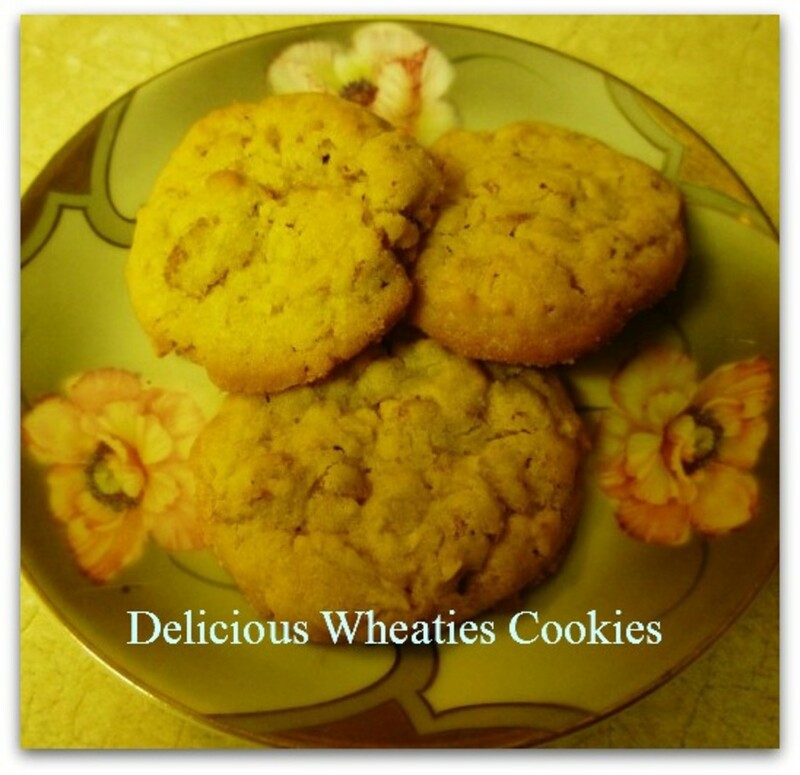 If you add this Wheaties cookie to your repertoire you will have 25 different kinds! I'm impressed! Thanks for sharing your memories and happy baking for many years to come! I have never heard of a Wheatie cookie but those look absolutely delicious. I will bookmark this recipe. Thanks. Love this Hub Peggy. I'm not into baking... but I just love anything with flour, bread cookies, pastries. I love to eat but I hate cooking. But there's this other part of me that says I'm going to retire doing four things... painting, photography, book writing and baking. I would bookmark this hub as I'd be doing my homework soon. 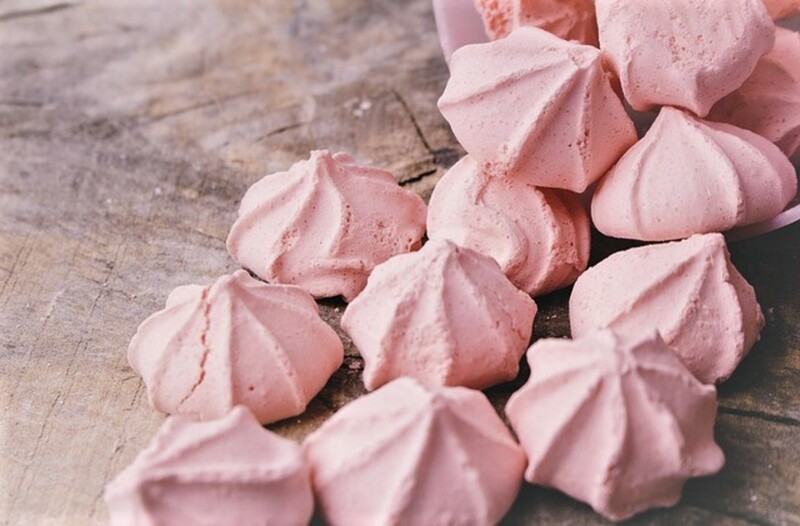 I'd love to follow your next baking tips. Congrats! 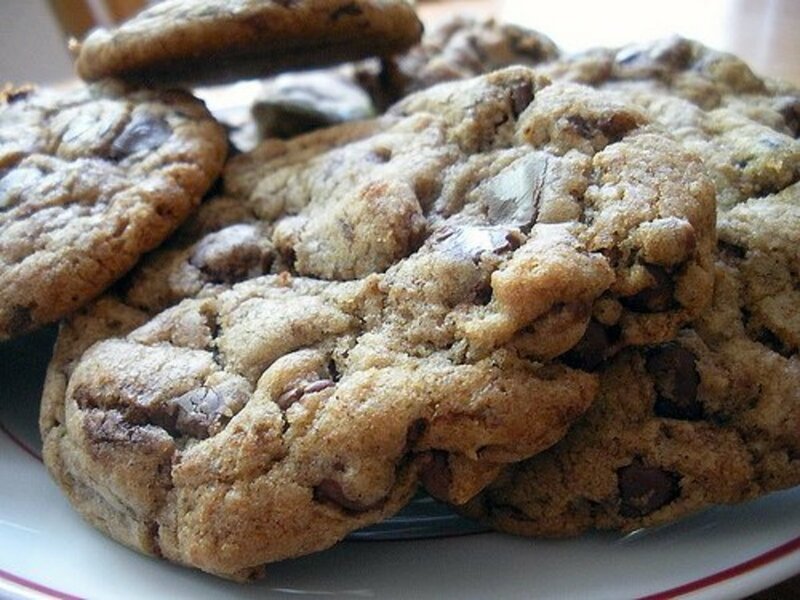 These homemade cookies are really quite simple to make. Hope you will give them a try sometime and let me know what you think of them. Thanks for the comment. Let me know if your kids like this Wheaties cookie. Thanks for your comment. Yummmmmm...they look delicious, voted up & awesome, thanks. P.S. You always have such wonderful hubs! My stomach is grumbling too...but not for homemade cookies (although I baked another batch this morning)...but for lunch. Must shut this computer down and do something about it. :) Thanks for your comment. Have fun baking homemade cookies with your granddaughter! The makings of good times that you and she will remember! Thanks for your comment. Hi Peggy. This hub brings back memories of my childhood too. Mom and my sisters and I baked every holiday season. As a grown woman, I have carried on the tradition with my sons. Each year I bake up to 24 different kinds of cookies the week before Christmas as I do not freeze them - starting with the "heartier" ones and ending with the more delicate kinds. My favorite is still chocolate chip but everyone in my family has a different favorite. They were always great for gifts to teachers, family and friends, neighbors, etc. I only have one son left at home now but I will continue to make that many for a few more years. The others will receive packages at Christmas! 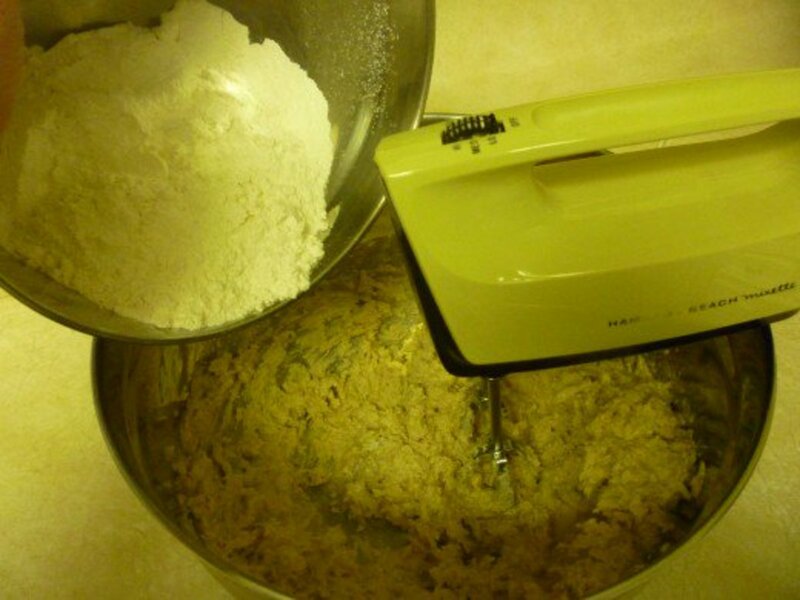 Nice to know that you found these step by step photos and homemade cookie recipe helpful. Let me know what you think of the taste if you decide to go ahead and make these. Thanks! Looks so yummy. I sure wish I had the time to make them...and was able to indulge. They really look very inviting. Oh Yum, I want to make some now... nah..its too late may be tomorrow... The kids love my cookies, I can add another variety to my list..thank you! Well Peggy.. These do sound wonderful! I'm now starving too!!! Mm m m m !!! I'm going to be making cookies with my granddaughter. Maybe I'll try these! The step by step recipe for cookies is useful. 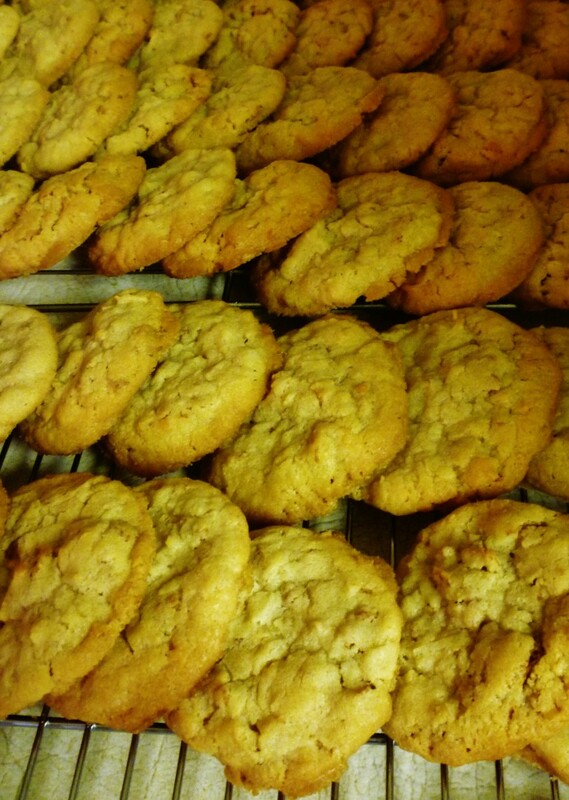 Yes...I have more and will be sharing some other homemade cookie recipes with you in the days ahead. This is the first time that I have taken pictures of the step by step process. 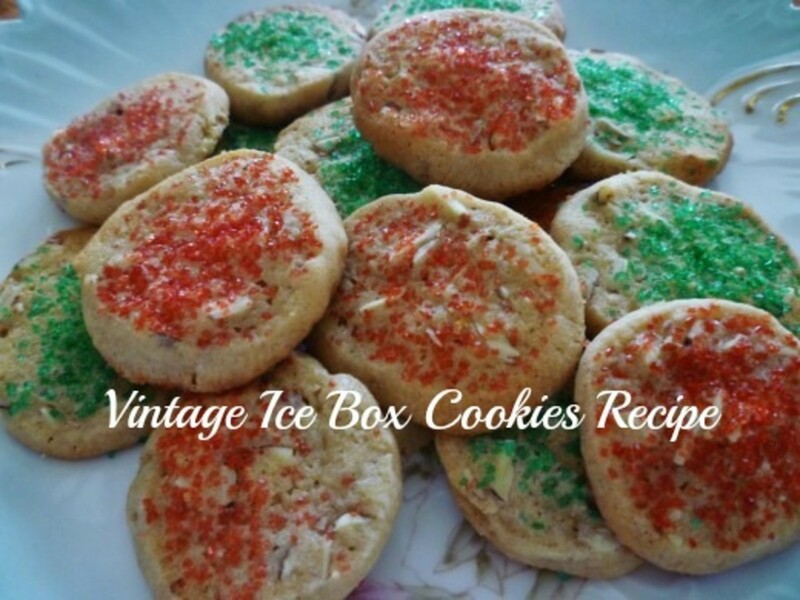 Have some icebox cookies that were chilled overnight and will be baking them today as a matter of fact. Glad that you liked this! Thanks! Hi, Peggy. This hub so delicious, even the cookies look so yummy. I love all "step by step" pictures. 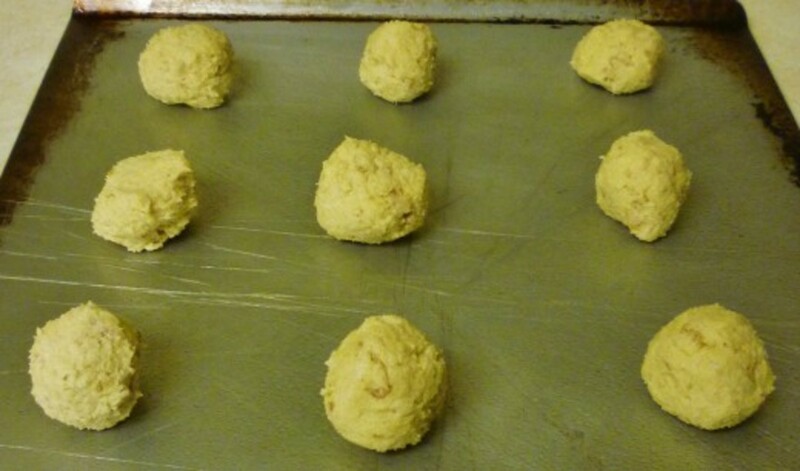 It seems so easy to make this cookies by following your directions. Do you have some more for me? Thank you very much. I give my thumbs up for you by pressing "useful, awesome, beautiful and interesting". Take care! Thanks for commenting on this homemade cookies hub. I know your dear Robert certainly loved his cookies and we were happy to be able to bring some to him when he was still alive. You and your sons can count on your cookie gift this year. I am hooked on delicious Wheaties cookies. My family and I look forward to enjoying delicious cookies each Christmas holiday. They are mouth watering cookies. Thanks for sharing your delicious family tradition recipe. Great hub. 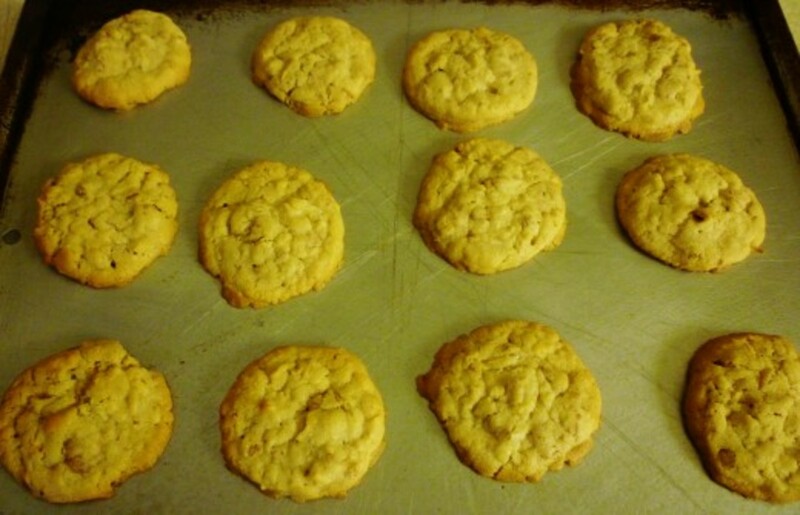 This Wheaties cookie recipe is an old one, and yes...it is really good. Glad you liked the step by step photos. Thanks for your comment. I should know better than to read your recipes when I'm hungry. This is a new one for me: Wheaties?? Bet they are delicious! Will have to try. I get tired of the same old chocolate chip cookies. Good photos of step by step, too.